Introduce yourself in any way you like! 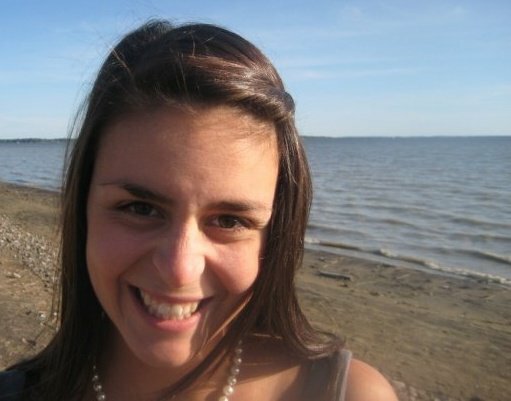 My name is Lindsey Simpson and I am the Communications Coordinator for TEDxMcGill’s 2010 event. As a recent graduate of McGill University and a great admirer of Montreal, I spend my time discovering the city piece by piece, constantly discovering hidden gems around every corner. During my McGill career, I dabbled in several fields, yet ultimately came out with a Bachelors of Arts in Psychology with two minor concentrations in Behavioural Science and Marketing. Now, I am the Western Canadian sales representative for a Montreal-based organic health food company called Prana. This is a company that promotes healthy eating, organic agriculture and sustainable living – all of which are causes that I strongly support in my daily life. As one of the organizers of TEDxMcGill, what was the greatest challenge that you faced either alone or as a team? I think the biggest challenge that we faced was in the choosing of our student speakers. We received around eighty remarkable applications from students with such a diverse list of backgrounds. Our Speakers team took the time to interview a significant number of those applicants and it honestly seemed that every time we sat down to meet someone new, we were blown away by the idea they had for their own TEDx Talk. Ultimately, we came out with eight phenomenal student speakers that will get on stage to share their ideas on November 20th. The list of students includes Jonathan Glencross, who is the student behind McGill’s $2.5M Sustainability Projects Fund. He is going to talk about why making change doesn’t have to mean being miserable. It also includes Salma Moolji who shares her promising outlook as she opens a school for abused girls in the slums of Nicaragua. All in all, TEDxMcGill is very proud of our entire line-up of speakers which is made up of undeniably inspiring students, professors and community members. Do you have any tips for people or groups interested in hosting a major event like this? Hosting a major event like TEDxMcGill is a huge endeavor. It takes a lot of work, a huge time-commitment and a ton of passion. This year, the event will have 600 attendees, making it the largest TEDx event in Canadian history. With that said, an event of that size has a lot of variables to coordinate. Taking all measures to make sure our event runs smoothly has been hard however, it would have been a lot harder if we forgot why we were doing this in the first place. My advice for any individual or team wanting to host a major would be to simply remember the main reason behind the event itself. Whether you have to prepare a charter for your organization, or just issue a personal reminder on a day-by-day basis, I suggest that you keep that initial motivation at the front of your teams’ mind. For the TEDxMcGill team, that motivator would be increasing the accessibility to ideas at both the local and global level. By participating in the TEDx movement, we believe that we are giving local individuals the opportunity to voice their passions, promote their causes and express their interests that will then be heard by people all over the world. It is this goal that fuels all the other technical aspects of this event. The slogan of TEDxMcGill is relentless curiosity. What are YOU relentlessly curious about? Considering that I chose to cram Psychology, Behavioural Science and Marketing into one degree, it is obvious that the thing that feeds my relentless curiosity is people, plain and simple. Whether it is scientifically observing the behaviour of people in a given environment or listening to the life story of a stranger, I am completely captivated by the diversity and complexity of the human race. Just like no two fingerprints are alike, I believe that there are no two people that are carbon copies of each other. For me, this means that every time I meet a new person, there are an endless amount of things that I could discover. In general, what do you think is the greatest challenge, or set of challenges, facing our society today? I think that unequal access to education in young children is the greatest obstacle present in our society. A proper education can allow a child to prosper for the rest of their lives and not only in the traditional sense of the word. It is clear that having access to the resources associated with learning increases the chance of going to university and getting a “good” job but education also prevents intolerance and ignorance. Teaching a child about the world and how it works gives them perspective and a certain level of empathy for others and through that, that child has already become a better person. By getting involved, which might seem to be the obvious answer but at the same time, but it’s the truth. If you see a problem with the world, the best way to counter-act it is by getting involved in the solution. If there isn’t an established organization that is working to stop the problem then start one yourself. Something that I have learned is that you are never the only one to see the problem, there are plenty of people out there who will help you fight for a cause. What makes volunteering worthwhile for you? Volunteering, especially for an organization like TEDxMcGill, has been personally rewarding because of all the different types of people I have had the chance to meet. My involvement has allowed me to cross paths with people I wouldn’t have necessarily met otherwise and for that, I am extremely grateful. The same is true for the people on the TEDxMcGill team that I have had the opportunity to work with over the past 8 months. This is a team of truly inspiring individuals who have had a huge impact on my life and I have no doubt that they will continue to positively influence the world at large.